Set of 4 miniature porcelain ornaments. Welcome, little one! 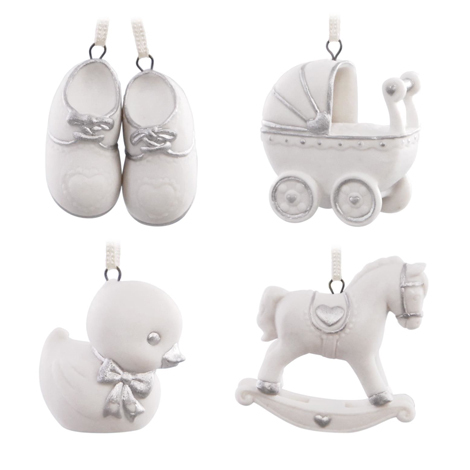 With wishes of health and happiness, this miniature ornament set celebrates all the wonder and magic a new baby brings. Includes a baby carriage, a toy ducky, a pair of baby booties and a rocking horse.